I spy with my little eye . 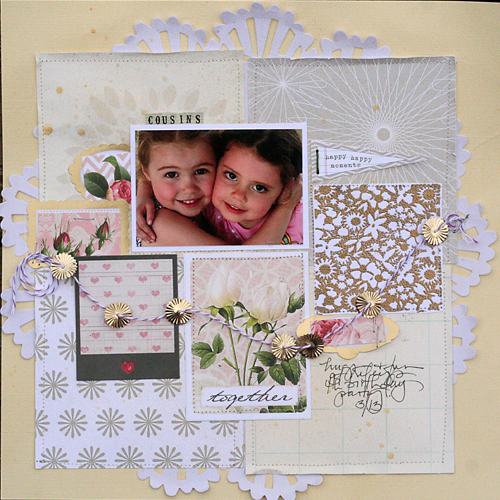 . . stunning gold sequins, two new exclusive papers from Lisa Dickinson, an exclusive floral stamp embossed in gold, an oversized doily, and pretty bits from Elle's Studio, Webster's Pages, Studio Calico, Martha Stewart, and Heidi Swapp. Pretty Pretty Pretty! This is beautiful. I may have to pull out some wedding photos with this kit. Can't wait to get my kit!!! 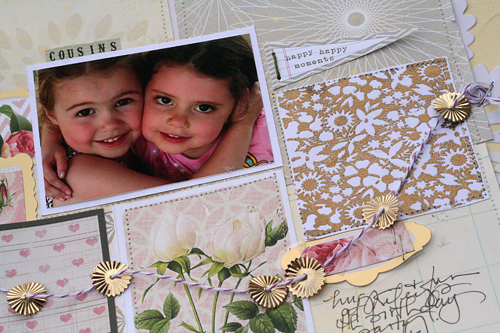 Love this layout and want to scraplift it asap!! !